Wingerworth and Hardwick Company Collieries. CXC No.11 pit was actually sunk in the 1850's by the Wingerworth Colliery company and purchased by the CXC later on and mothballed until the 1880s. The Wingerworth and Hardwick Colliery Company. The years 1870-1930 saw a massive expansion of the British coal industry with output increasing from 11,000,000 tons in 1870 to 287,000,000 tons in 1913. 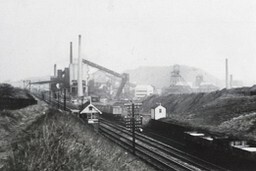 It was in this era that the Holmewood colliery was developed from 1868. 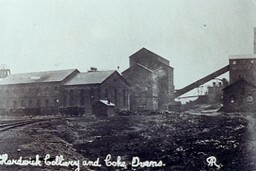 The Hardwick colliery company was formed in 1830 from the Wingerworth coal company and sank Lings colliery on Williamthorpe Road in 1840 which produced Top Hard Coal until its closure in 1896. 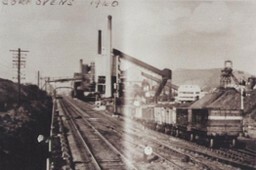 By 1890 the company were looking for new mining leases and one was purchased for a large amount of coal by one of the company owners John Chambers. The company sold out to form a new company the Hardwick coal company, with a share capital of £350,000 in 1900 and which bought up other small colliery companies and private partnerships which had worked this area since the early 1800's. 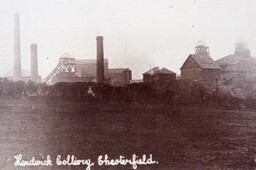 On Thursday evening last a dinner was given in the schoolroom belonging to The Wingerworth Coal Company at North Wingfield for the sinkers, foremen and others in celebration of the opening of the Holmewood Colliery which was commenced about seven months ago on the Duke of Devonshire’s estate at Holmewood. The shaft is 63 yards deep and the coal, which was reached last week, proves to be a good hard coal of excellent quality and the seam averaging about 4 feet 9 inches in thickness. A most substantive plant has been erected and the whole operations have been most successfully carried out without loss of life or limb. It is intended to lay down a short line of railway from the pit mouth to the “Dukes line” North Wingfield a distance of about half a mile. 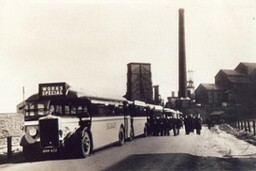 Following the great wages dispute 400 men have recommenced work at Holmewood Colliery. On February 21st Thomas Wetton a pony driver at Hardwick Colliery was caught galloping on a pony in the mine and thrashing it to the danger of other persons in the pit. He had been cautioned previously, he pleaded guilty and was fined £1 plus costs. Interesting scenes on Sunday were watched by a large number of people in the unloading of three large boilers to be used to generate steam for the working of the plant in connection with 50 new coke ovens. 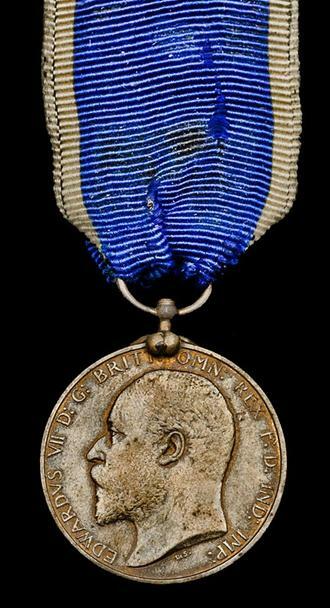 Edward Medal for Holmewood Investiture by the King. The King held an investiture at Buckingham Palace on Saturday when the Edward medal was bestowed on Messrs. Samuel Peters, Joseph Harrison, Harold Wood and Thomas Calladine of Hardwick Collieries Holmewood for bravery at a time when two men were entombed in the pit at Holmewood. It will be remembered that Messrs. J. James of Clay Cross and E.Watson of Hepthorne Lane were cut off by a fall of roof and imprisoned for 96 hours in a space 15 yards by 10 feet wide and 6 feet high. They were fed through a pipe and it was due to the indefatigable hard work and pluck that the four rescuers above together with the Manager Mr.Collis and other brave workers that the men were extricated little the worse for their adventure. Messrs. Samuel Peters , Thomas Calladine, Joseph Harrison and Harold West were received at the Home Office at 9.30a.m. Saturday morning last and conducted thence through to St. James Palace. In one room the hooks for receiving the medals were pinned on. Later the rescuers were received by his Majesty in another apartment. The King fastened the decorations on to each mans breast, shook hands with the men one by one and expressed to them his pleasure in presenting the medals. Thus reads the Company report, "These four men were engaged for practically the whole time in a dangerous position at the face of the fall. They were exposed to the risk of injury from falling stones and displayed a dogged courage and endurance." Each medal is suspended on a royal blue ribbon edged with yellow. Mr. Peters describing the event to our representative said, "He bad first to report to the Home Office and from thence we were led up to the palace. The party were all introduced to Mr.R.Smillie the well known miners leader who was accompanying one of his countrymen who had been awarded a similar honour. Upon our arrival at the palace we were shown into a large waiting room along with others for similar decorations including other miners, sailors, police and firemen. The investiture took place in another large hall where some 48 gentlemen were knighted immediately preceding our investiture. We were ushered into the presence of the King and his Majesty fixed on the medal and shook hands with us speaking a few words of congratulations. The whole of the party were invited by Mr. T.T. Broad M.P. to dine with him at the House of Commons but only myself and Mrs Peters were able to accept the invitation and the others returned home." An inquest was held at Hasland touching the death of William Gilbert an engineman at Lings Colliery who died as a result of injuries received as a result of a boiler explosion. He was in charge of the 40 hp Ling’s engine and he also had charge of the pumping engine at Williamthorpe colliery where the explosion took place. An accident was held on Wednesday last on the body of John Winter coal miner aged 17 years before the Coroner to inquire into the circumstances of the death of the deceased. It appeared that on Saturday 27th June deceased was going down an incline in the pit with a train of wagons and was riding on the last one when the one following was let go by carelessness and rammed into the one the deceased was on. He was thrown off and received such injuries that he died on Friday last. 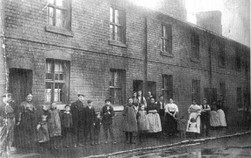 The great wages dispute the Lings; Pyewipe and Avenue collieries belonging to the Wingerworth Coal Co. are still out on strike. Mr. J. Ward charged eleven colliers with leaving their work on the 4th inst. without giving due and proper notice. The complaint was that the defendants who worked at the Lings pit owned by the Wingerworth Coal Company ought to have gone down to their work on Thursday morning between 5.00 a.m. and 6.00 a.m. but they did not do so. The employers claimed 30/- per man. The only cause for their refusal to go down was that there was something alleged to be wrong with the weighing machine but the men had their own checkweighman at this machine and in the event of anything being wrong or suspect the proper course was to have called the attention of the proper authorities and have it treated. Hard Coal 6/8d per ton, Soft Coal 5/- per ton, leading 2/6d. Hard Coal 6/8d per ton, Soft Coal 5/- per ton, leading 2/6d, J. Brockmer agent. All orders for Owlcotes coal will receive prompt attention at R. Hunter, St. Helens Street Chesterfield. Further reduction in Owlcotes Colliery coal prices, Best Hard Coal 6/8d per ton, and Best Soft coal 5/- per ton at the pit. Best Hard Coal 9/6d and Best Soft Coal 8/- per ton delivered in Chesterfield. Orders received by John Hadfield, hairdresser and toy merchant Cavendish Street Chesterfield. prices from this day are considerably reduced thereby enabling the poorest amongst to enjoy the comforts of a clean fireside – prices range upwards from 2/6d per ton. Owlcotes Best Hard Coal and Best Soft Coal are the best and cheapest on the market. For further details as to carting apply to J. Hadfield Cavendish Street or F. Deighton Shambles Market Place Chesterfield. 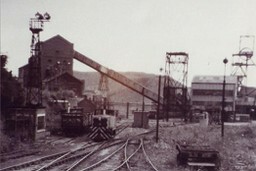 A meeting of the men employed at Peewit Colliery was held at North Wingfield with respect to a dispute as to the wages paid to the men at the colliery, which is under the Wingerworth Coal Company. The men contended that the work there had been gradually getting worse and the coal took more getting and a considerable amount of powder had to be used. The men were getting least 1/- per day behind any colliery in the county that Mr. Harvey knew of and after deducting the money for powder the men were getting on average less than 4/10d per day. At the close of the Liberal meeting held in the school at North Wingfield, Mr. Haslam said there was one matter he wished to mention as he thought it should be known. He had a rather serious if only a small dispute at one of the Wingerworth collieries. The wages there were very low a little over 4/- per day and a dispute had arisen in consequence. He had been informed that the tenants under the company had received notice to quit their homes. If the men could pay their rents the company should do and act so barbarous and disgraceful as resorting to the old cruel method of starving men into submission they would have to very seriously consider the necessity of withdrawing the men from the remaining pits of the company. 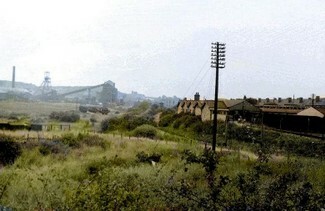 The company wanted to establish a new colliery at Williamthorpe which was to raise 4,000 tons of coal daily. Under the terms of Mrs. Hunloke's lease the company were to sink shafts to the Blackshale seam and establish a first class colliery. Therefore sinking operations commenced in 1901 on the Williamthorpe shafts. The underground roadways from Holmewood were driven downhill into the pit bottom area of the Williamthorpe colliery, the idea being to avoid any powered haulage of coal into the pit bottom from the districts, this could be achieved by gravity. The new venture met with immediate problems, the shafts were sunk in a two mile diameter basin of water from the old Lings colliery workings. Only one hundred and eighty of the five hundred and fifty yards of sinking had been achieved in two years because of the water problems so it was decided to line the shaft with nineteen foot diameter iron tubbing. Although the ground yielded 2.5 tons of water per minute with a pressure of 600-700 psi. The iron plates were so tight that the shaft was watertight for the extent of the flooded strata. The shaft was completed in 1905 and became the deepest colliery in the Midlands. 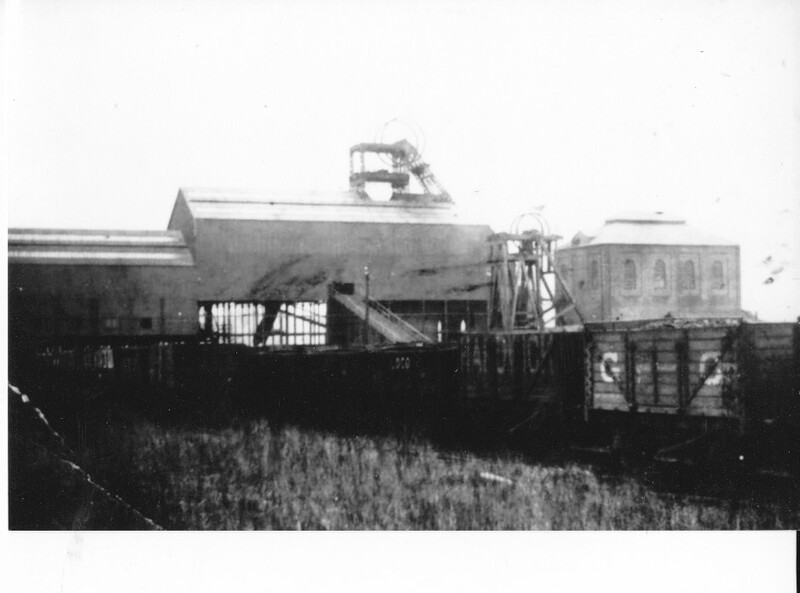 Williamthorpe colliery had triple deck cages with a capacity of twelve trams, or seven tons of coal with a winding time of forty five seconds. The steam winding engines were made by Markhams and company of Chesterfield with a forty two inch diameter cylinder and a seven foot stroke. The site now pumps from underground and settles millions of gallons of water each month from collieries as far away as Nottinghamshire. Colliery photographs from the collection of Bill Skevington.